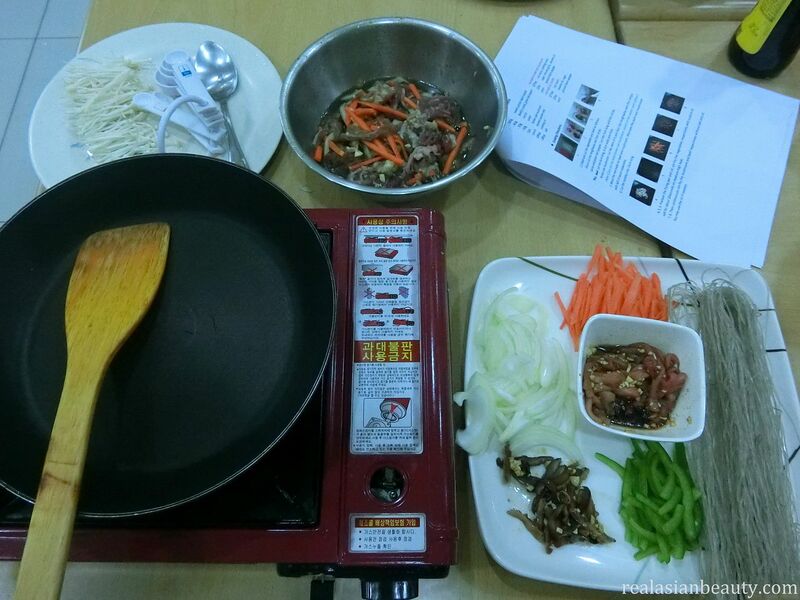 Aside from learning Korean Language, I also got interested in learning how to cook some Korean dishes. I appreciate Korean cuisine and would sometimes eat Korean food with my friends. Because of that, I decided to enroll in this class. 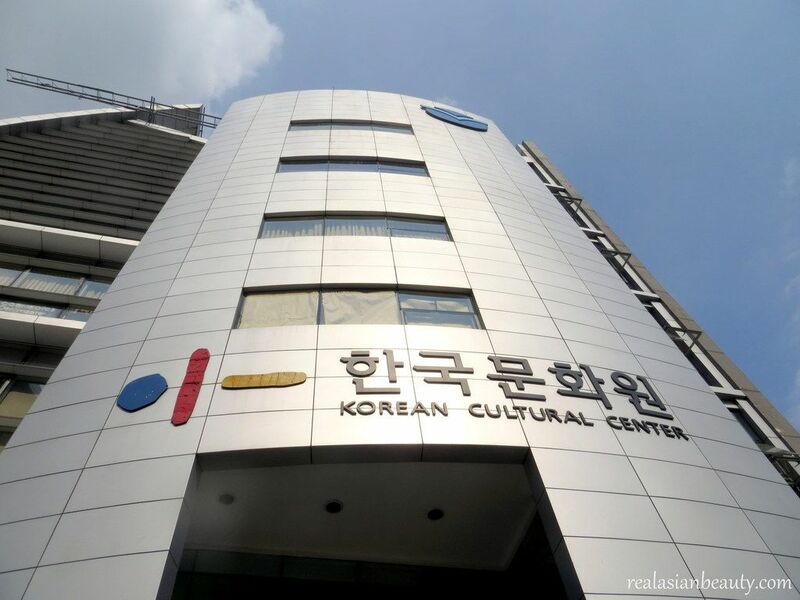 I have my Hansik Class at KCC or the Korean Cultural Center. I have already blogged my Korean Language Class experience HERE and HERE so be sure to click the links if you want to read more on that. Anyway, today I will be sharing with you guys my Korean Cooking Experience. 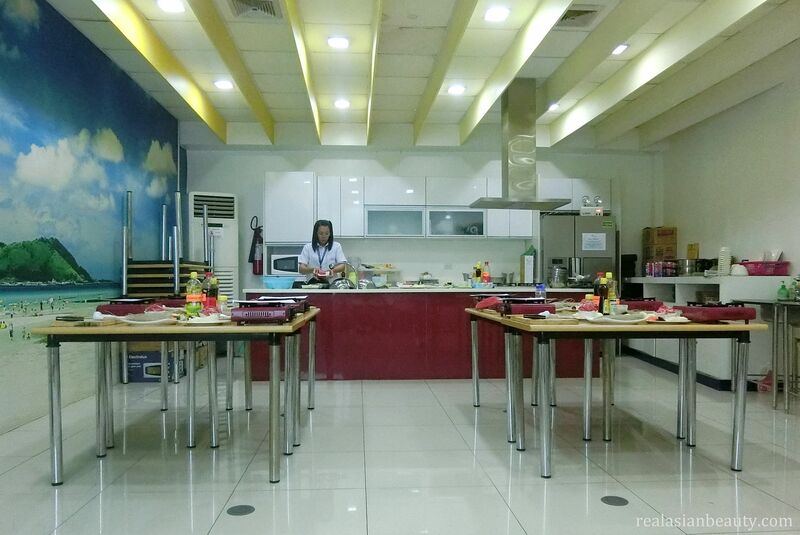 The cooking class is held inside one of the rooms in KCC. What's nice is that they provide everything that you would need to cook. From the ingredients, to the pots and stove to the salt and pepper! 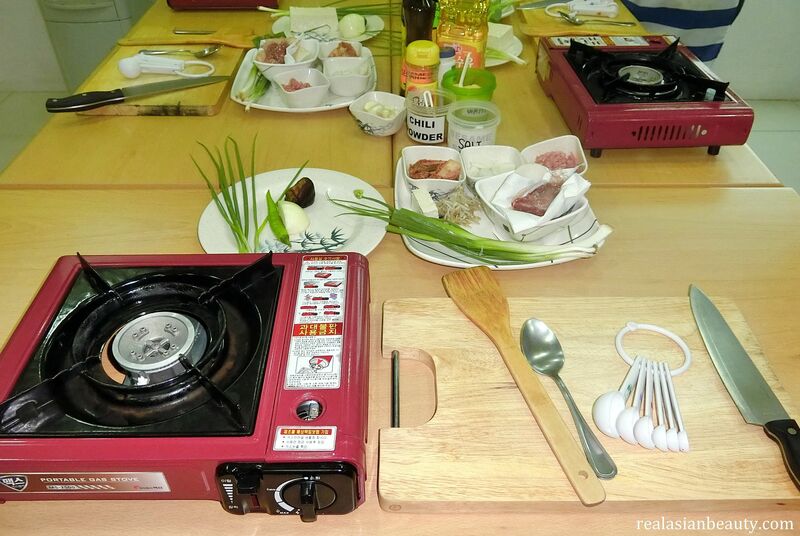 All you have to bring is your own apron and some food containers so you could take home what you cooked that day.And what's even better is that the instructor is Korean so you are sure that the taste and technique would be authentic! On the first day, we made Bulgogi and Jjapchae. I tried to pick the slots of my personal favorite Korean food. Bulgogi is one of my favorite Korean food! I was excited to attend this class. 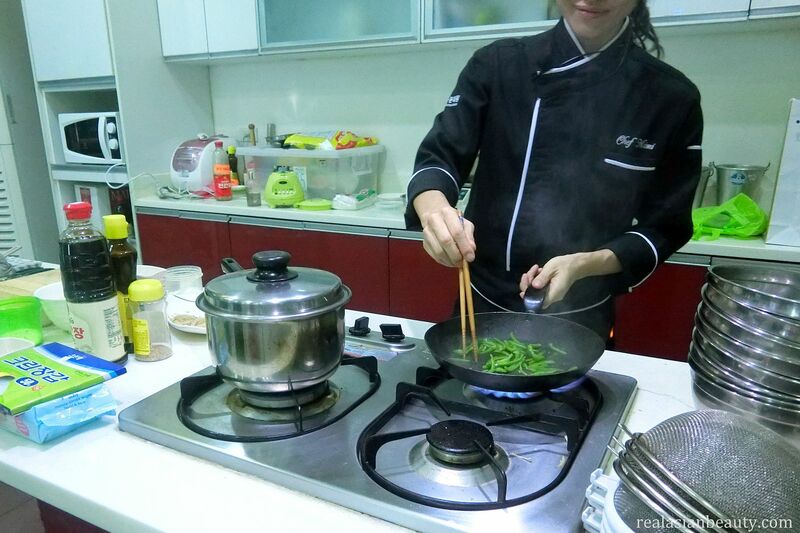 Prior to making the food on your own, the 요리사or Chef will demonstrate how to make it first. We marinated the beef first then proceeded to cooking the Jjapchae. 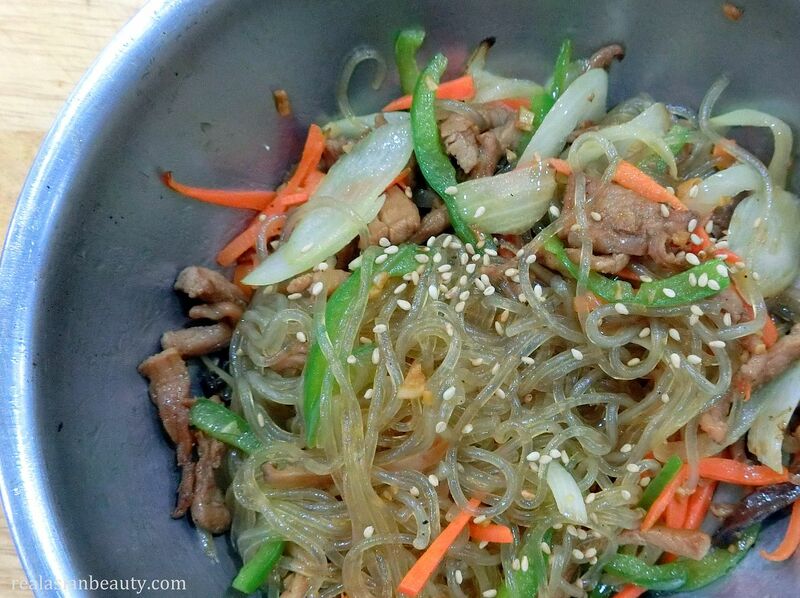 Jjapchae is so easy to make the vegetables just need to be stir-fried. 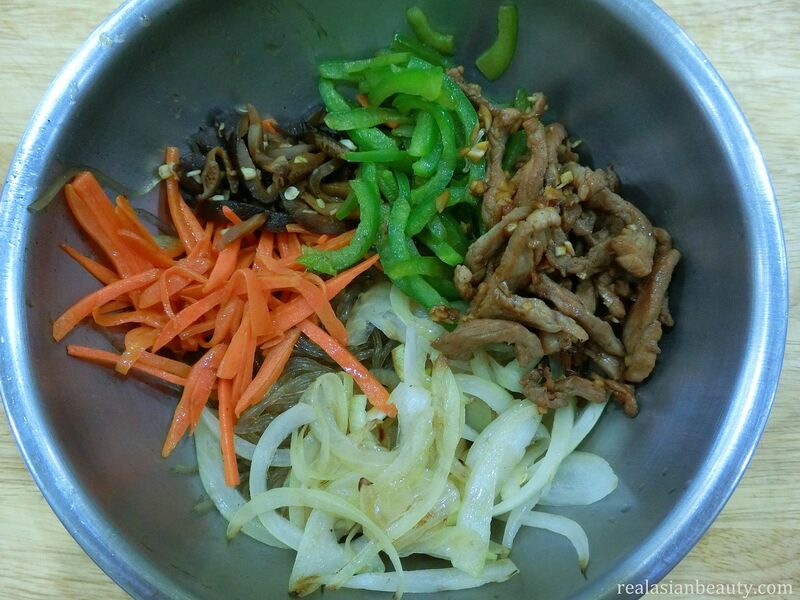 Though Koreans are particular in cutting the ingredients of their food. For them, food is not only for the stomach but for the eyes as well. Everything must be presentable. This is the Jjapchae that I did! After that, we proceeded to frying the beef that we marinated earlier. To be honest, it was difficult to prepare the ingredients, cook and then take selfies! But because I wanted to show you guys my Korean class experience, I had to take some photos every now and then. My camera was so messy after it. 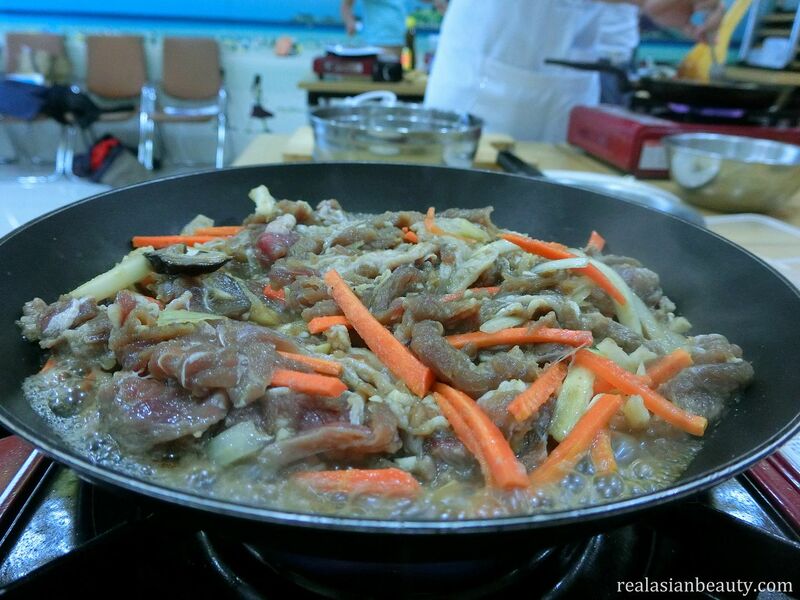 Bulgogi is usually grilled but to make things easier for us, we just cooked it in a pan. The smell was so good! I was so excited to go home so my parents could try my Bulgogi right away! Aside from an apron, you must never forget to bring your own food containers. This is so you could take home what you made that day. My first ever Korean dishes, Jjapchae and Bulgogi! The first dish is something that Koreans serve on Lunar New Year's Day. 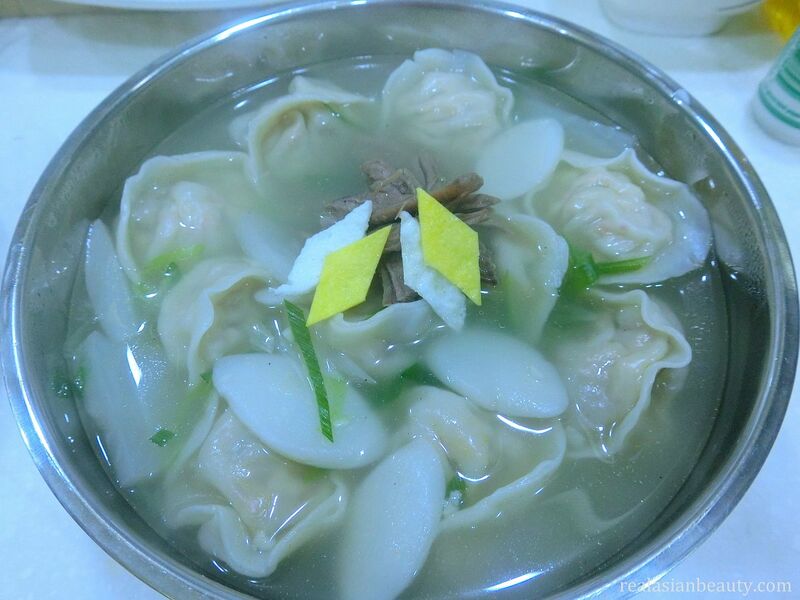 It is a soup made of dumplings simmered in beef broth with diagonally sliced rice cake. 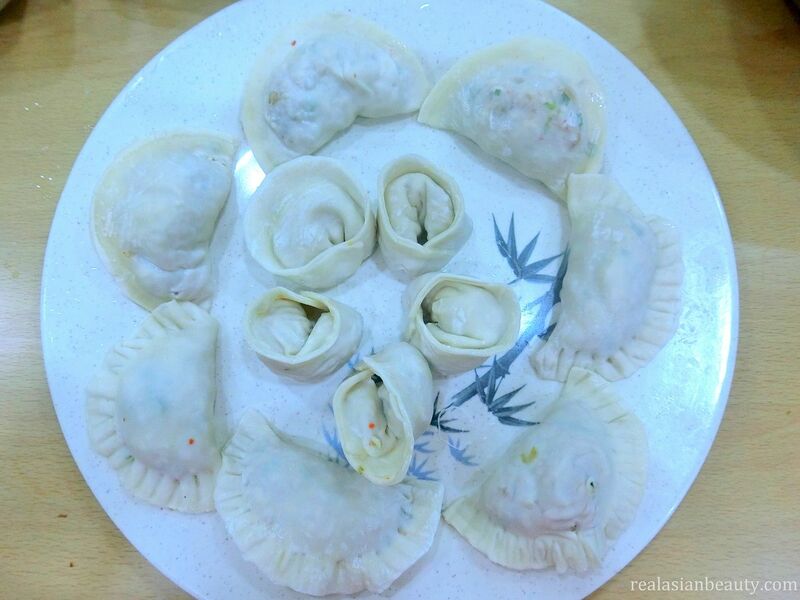 The dumplings, we had to make from scratch! You'd think that dumplings are easy to make but it requires a lot of time and effort to prepare. 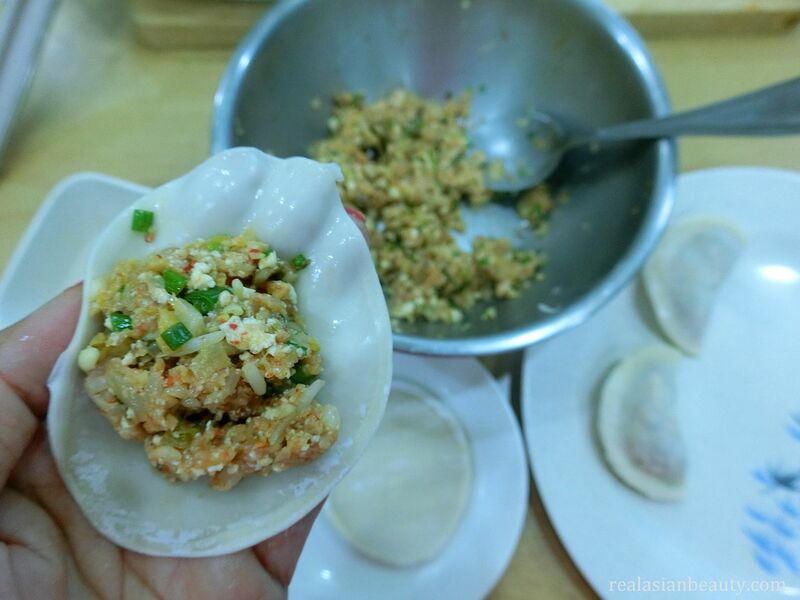 The dumplings contain kimchi, pork, bean curd, mung beans and green onion leaves. We had to slice them finely and wrap them individually. Because the Dumpling Soup was difficult to prepare and needed a lot of time, we were left with just a few more minutes on the clock. No wonder, the partner dish for the soup was just a Tofu dish. 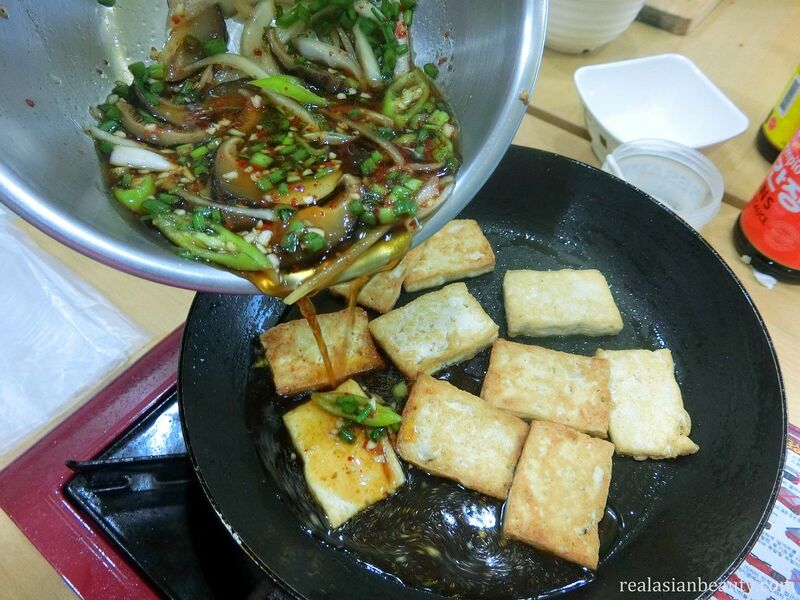 The Braised Tofu was so easy to prepare and only required little effort and less ingredients. I love attending my Korean cooking class! I only have 1 class left but KCC offers it until April so I will probably enroll for more sessions! It's so fun because I get to enjoy, learn something new and then go home with food for my parents! That's triple treat! 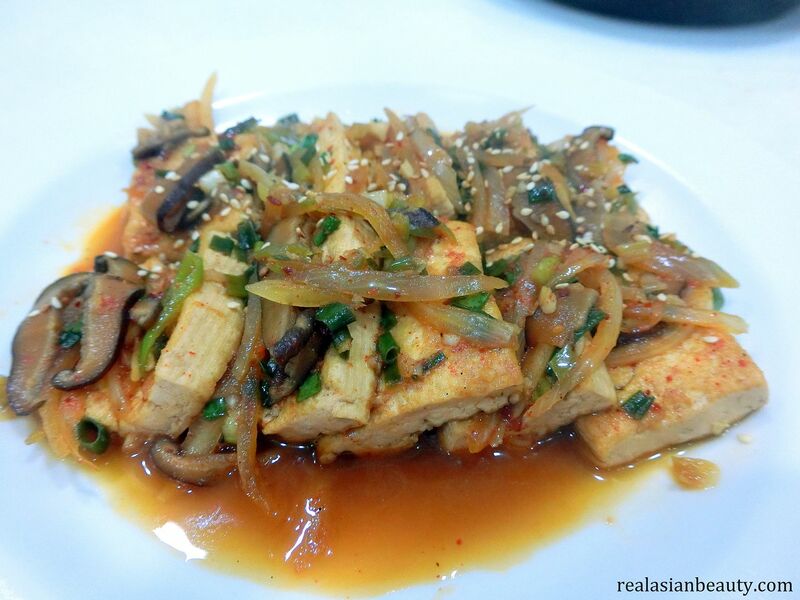 This is the Braised Tofu that I did! Looks delicious, right? 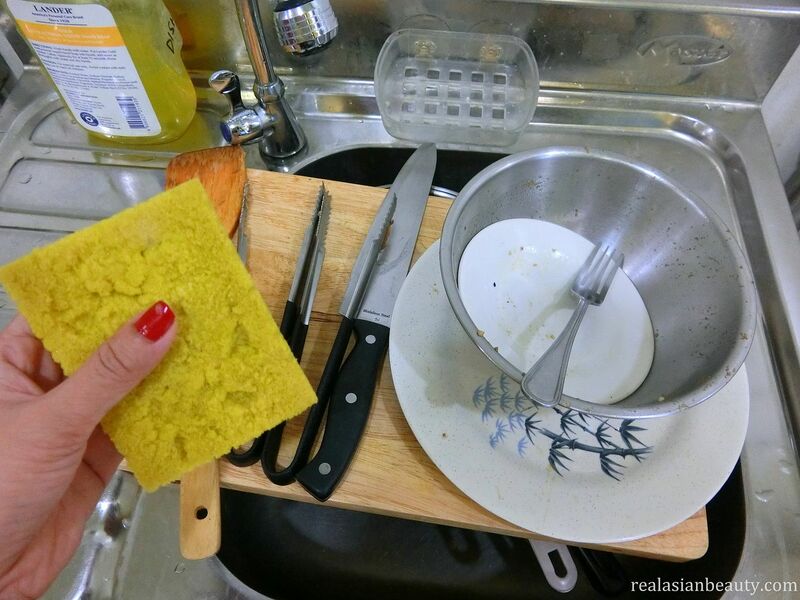 The only not fun part of this is that we have to clean up and wash the dishes, pots and utensils on our own. I sometimes move slow so I always end up being the last to leave the class. My classmates are all quick movers and finish their tasks right away. There was even one time the instructor left before I did. 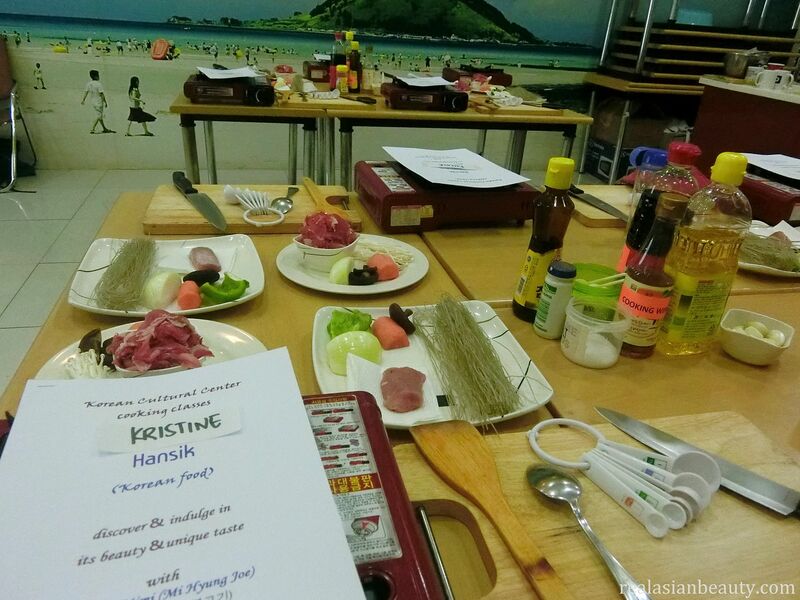 That's my KCC Korean Cooking Class experience! If you are interested to know more about this, just check out KKC's website HERE. I hope you enjoyed reading this! Let me know if you'd want to see more personal and non-beauty related posts like this. Have a nice day, my lovely readers. I appreciate comments and enjoy responding to them, so be sure to leave a comment when you're done reading!